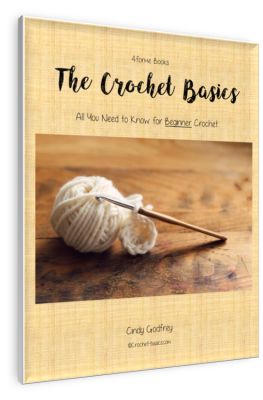 I think every crocheter needs to know how to crochet a hat. 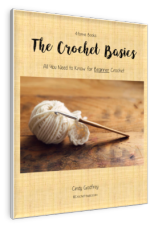 Whether it’s for you or someone else, sooner or later, you’ll be crocheting one. I’m sure of it. I love crocheting hats and beanies. They are quick, fun projects and they make awesome gifts for just about anyone. Crochet hats are the best! They come in just about any style, texture, or pattern. There are some really fun patterns out there for children and babies as well as for adults. This is one crochet project that can truly be made for the whole family. Plus, they not only look great but they keep you warm and cozy at the same time. How To Crochet a Hat Help . . . Remember, the patterns you find don’t have to be really hard or involved to create terrific crochet hats. 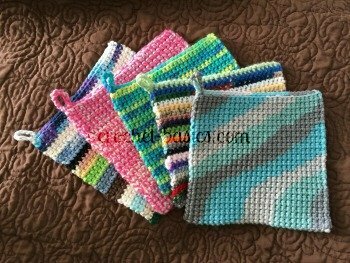 If you’re not comfortable with a difficult pattern, then choose one that’s easier to understand and give it your own style with your choice and color of yarn. Some of my most favorite hats are made from very basic patterns. Hats and beanies are great projects for beginners. For most patterns, there is a simple pattern or stitch that is repeated in rounds until you reach the desired length. The biggest thing that you’ll want to watch carefully is your stitch count for each round. In the first several rounds there will be gradual increases in your stitches to get the desired shape and size. This isn’t difficult, but it is important. Stitch count is always important. So, I’m not telling you anything new here. Here’s another reason why crochet hats make good beginner projects. They are super easy to adjust the length in most patterns. All you need to do is add a round or two to add length or work a few less rounds to make it shorter. This helps so much to get just the right fit for whomever you’re making the hat for. A note about doing this; be sure that where you decide to add or subtract rounds is done after the increasing rounds are worked. That would be in the rounds that are worked with the exact same number of stitches. You can also make them extra-long and fold them up. This will give you a completely different look and they’ll be extra warm. There are just so many different ways to make them yours. This pattern follows the same pattern as the walk-through for How to Crochet a Scarf. So . . . matching hat and scarf! Who doesn’t love that! Red Heart Super Saver works really well. Gauge: Crochet pattern to round 2 = 2" in diameter Crochet pattern to round 4 = just over 3"
The finished size of this hat is about 20 1/2” around the lower edge. You can tighten up the circle as much or as little as you'd like. You can even completely close the circle is you want. Work 1 sc in each sc around. You can see that I put a stitch marker in the first stitch of the round. Repeat Round 8 for each round. You should start to see the curve of the hat at this point. You can really see now how the hat is starting to take shape. Now you're all done and you've learned how to crochet a hat. You can add a tassel or pom-pom to the top if you want. Remember you can always add or subtract rows to this crochet hat. Also, my color blocks have different numbers of rows of each color. That can be changed to whatever pattern you want or you can always make it one solid color. Just have fun and give it your own flair! Now that you know how to crochet a hat, do you want to make the matching scarf now? Here’s a link to How to Crochet a Scarf. If you want to try a simple beanie, then here’s the link to How to Crochet a Beanie.